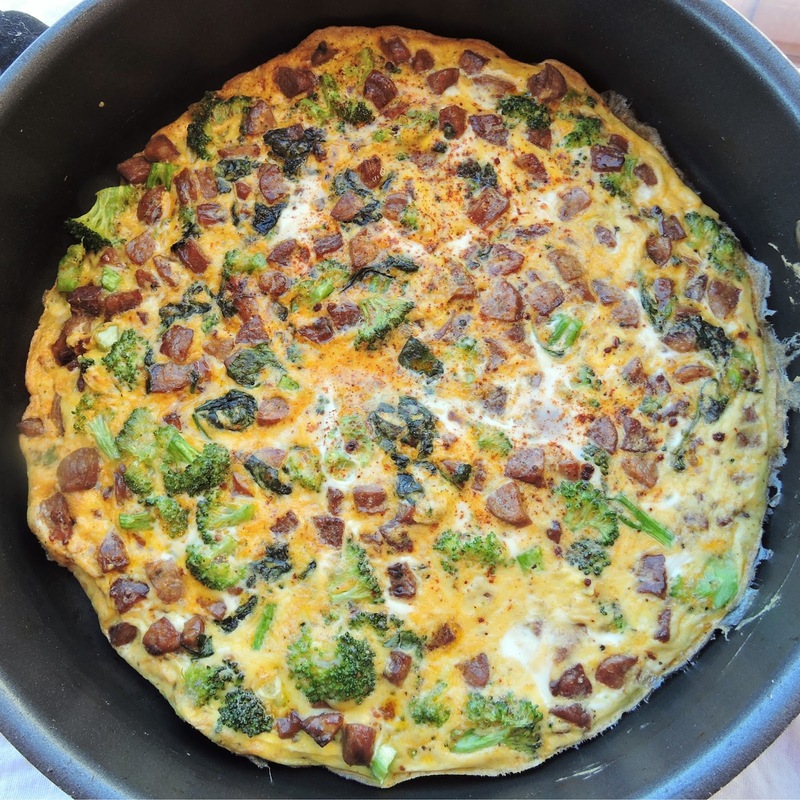 I whipped up this frittata-style breakfast skillet one Saturday morning after our workouts. It was quick, simple, and made enough leftovers to get us through the next couple of mornings. An absolute win-win in my book! I used our favorite chorizo from "Fra'Mani" that Dathan often picks up at Whole Foods. All of their sausages are delicious~ so don't hesitate to pick some up if you see it around! Besides the flavor, you can't beat their super clean ingredients (several are Whole30 compliant). 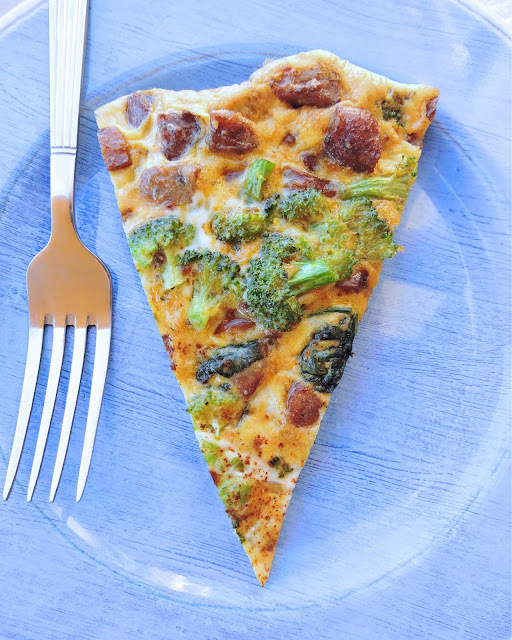 If you're feeling unsure about broccoli in your breakfast, you've got to just give it a try. The few minutes this dish spends under the broiler is magic, and gives the broccoli this awesome roasted flavor that I wouldn't mind adding to any dish. I hope you try this one out~ and feel free to swap ingredients for what you have on hand. A broccoli-ham combo would be delicious! Set the oven to "broil". 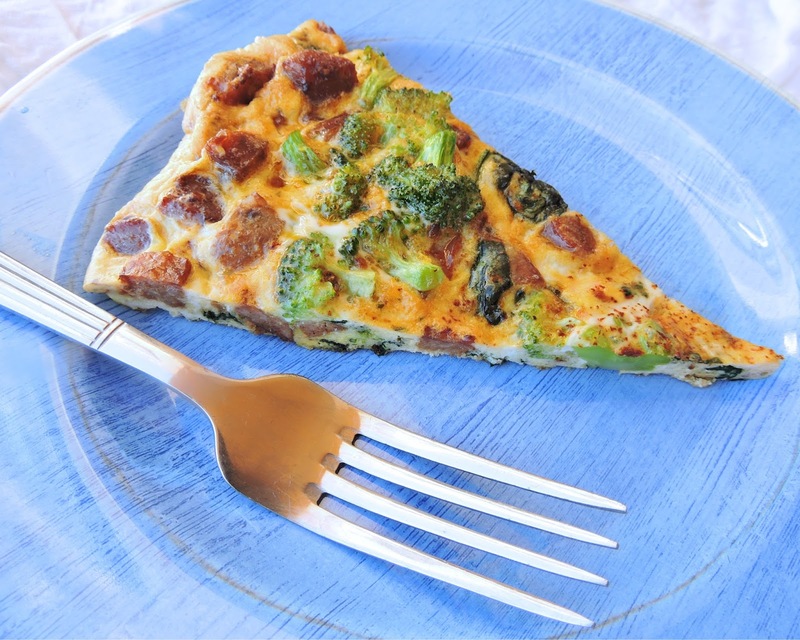 Heat your cooking fat in a large skillet over medium to medium-high heat until browned. Stir in the spinach & broccoli, and sauté until the spinach is wilted. In a large bowl, whisk the eggs with spices. Stir the seasoned eggs into the pan. Sprinkle with a little extra "Fire" on top, and transfer the skillet to the oven. Broil for 5-10 minutes, depending on your oven. It's ready when the eggs are "set". Remove from the oven, allow to cool for a few minutes, then slice & serve! If you haven't gotten your hands on any Spice Cave Seasoning Blends yet, you can substitute whatever you have in your pantry. "Land" is a garlicky blend, "Wind" is herbaceous, and "Fire" has a sweet heat. Hmm, I would have that in the evening as well, with a cup of tea and some biscuits.